If you are already a member of The Pointer Club, or the owner of a Pointer, you will need no introduction to this wonderful breed. Our goal is to maintain and promote the breed as a ‘fit for function’, that is also suitable as a family member. The Pointer Club provides breed specific input into the KC on our Breed Standard. We are responsible to the KC as custodians of the Pointer breed standard and work with and advise the KC on all matters regarding breed health guidelines. We manage a number of KC related activities such as maintaining breeder code of conduct policies, running judge education seminars and managing judge accreditations. The Pointer Club organises a number of events each year ranging from Shows (Championship & Open) and Field Trials. We also provide help and advice to members on training, owning, showing and working Pointers. The Pointer Club has the declared objective of promoting the interests of the breed, uniting those interested in the breed and upholding the Standard of the Pointer (as issued by the Kennel Club). 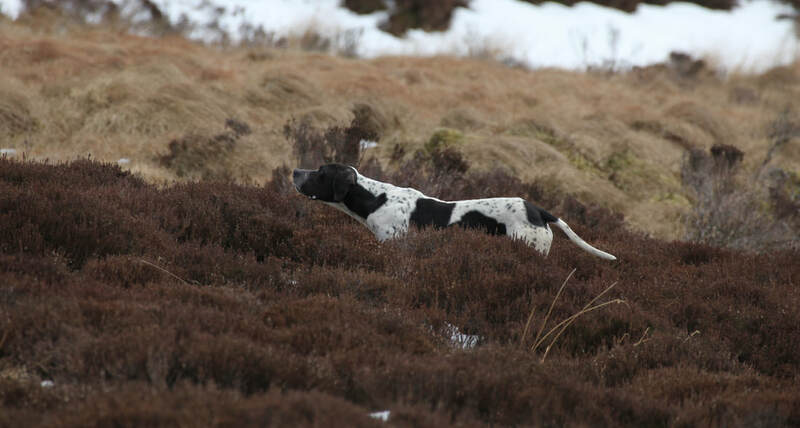 We host and run the Pointer Club website and if anyone would like more information about anything on this site please Email us from the Contacts Page. We produce three Newsletters a year, so that we can keep our members updated with highly informative articles on the breed, health issues, and other information about what’s going on in the Pointer world. We also produce a Year Book every two years. All of the above relies on the voluntary efforts of our hard working Committee.